Alright, this is pretty cool! My kids would LOVE it! Right now on Amazon, you can get this Lego Ideas New 2019 Pop-Up Book Building Kit for Only $55.99 Shipped! (Reg. $70). The first-ever build-able pop-up book in LEGO history, this advanced LEGO set opens to reveal the famous scene of grandmother’s forest cottage featuring opening door, bed and kitchen area. Recreate the scene when Little Red Riding Hood meets the wolf or swap out grandmother’s cottage for the scene of the giant’s castle in the clouds. 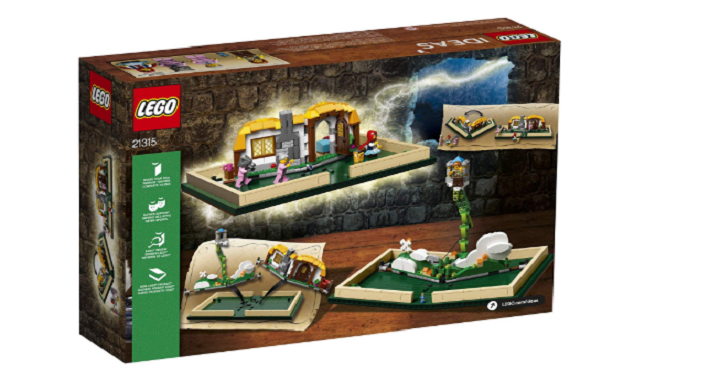 This collectible toy features enough LEGO bricks to build both scenes. Or you can even build a scene of your own with this cool toy for even more creative play.